The Alpha Performance Coolant Expansion Tank Kit is a simple bolt-on upgrade designed to enhance the overall appearance of your engine bay. The Alpha Performance Coolant Expansion Tank Kit provides a 50% increase in coolant capacity over stock (3 liters vs. 2 liters). Unlike the translucent stock plastic expansion tank, this stronger aluminum construction provides a much improved resistance to staining and will not warp or become brittle over time. 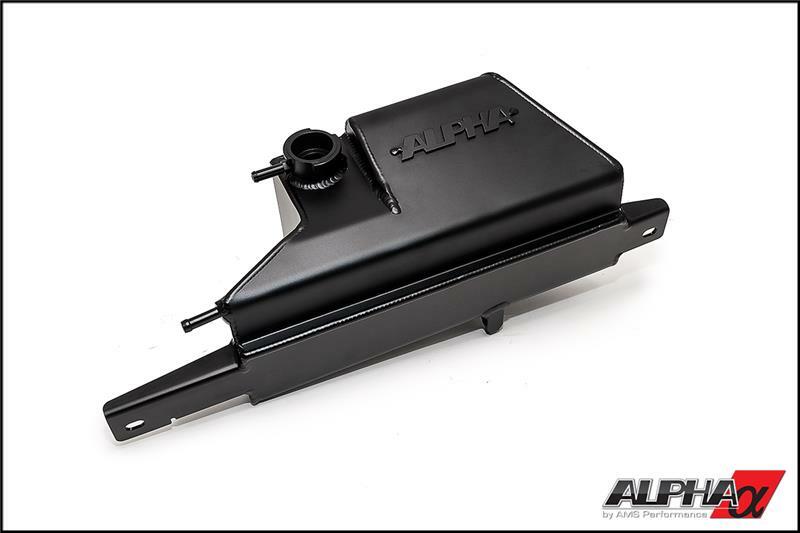 Do it right the first time, order your Alpha Performance Coolant Expansion Tank Kit today!